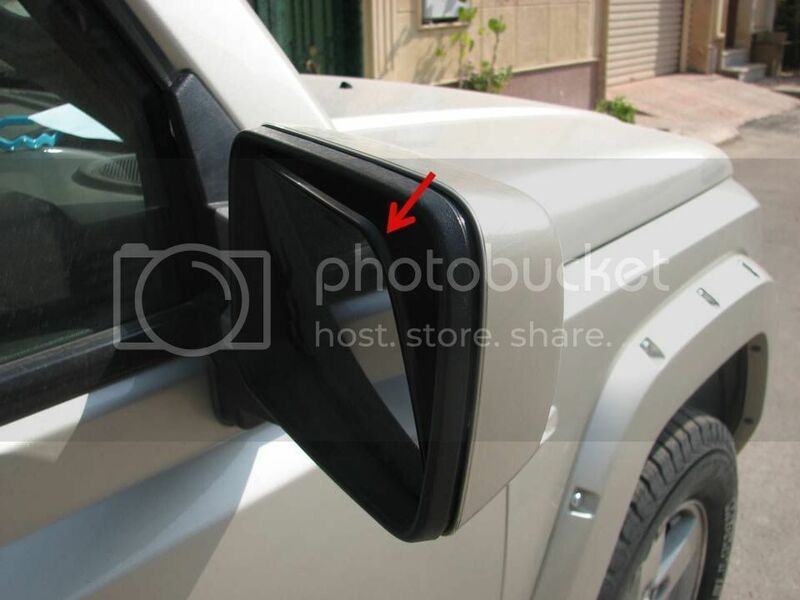 Side Mirrors shaking on high speed is a very common problem in the Jeep Commander and usually the dealer replaces the whole mirror under warranty to fix such problem. 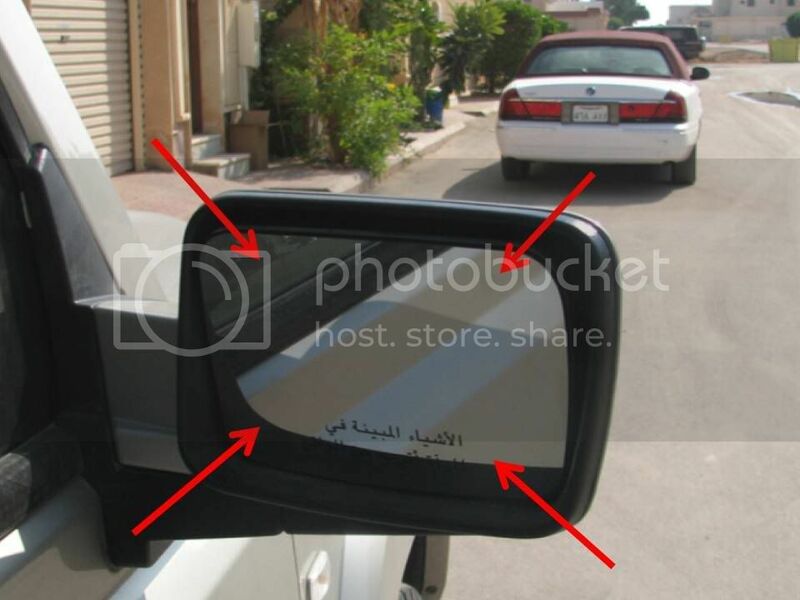 In my Commander they replaced the mirrors three times (two right and one left) !! ,, that is not good option for those with warranty expired like me, I'm not going to pay $100+ for a new mirror which will shake sooner or later ! So I took off the mirror and tried to take it part to see how this can be fixed, Surprisingly the mirror is not easy to take a part (or at least I couldn't find a way to dismantle properly), but while I was examining the mirror to see what is lose, I moved the inner mirror to the far end of one corner so that I can see the component inside and I noticed that the mirror is attached to the motor by four sort of clips and the those are not tightly holding the motor mount and shakes by hand! so I thought that if I glue those clips it would solve the problem and so I did. 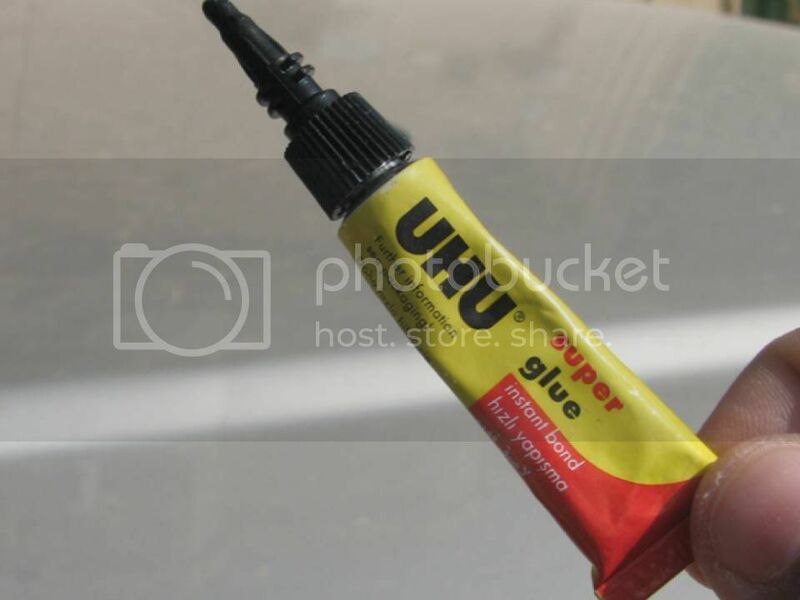 Then I let the water dries and then started to glue the clips, I used this glue, you might use a better one that is more suitable for exterior use and dries fast. I could only manage to glue the upper two clips as the glue simply drops down when trying to glue the lower clips but its better to glue all four (if you manage). I hope that I delivered the idea and make clear, and excuse my poor language. 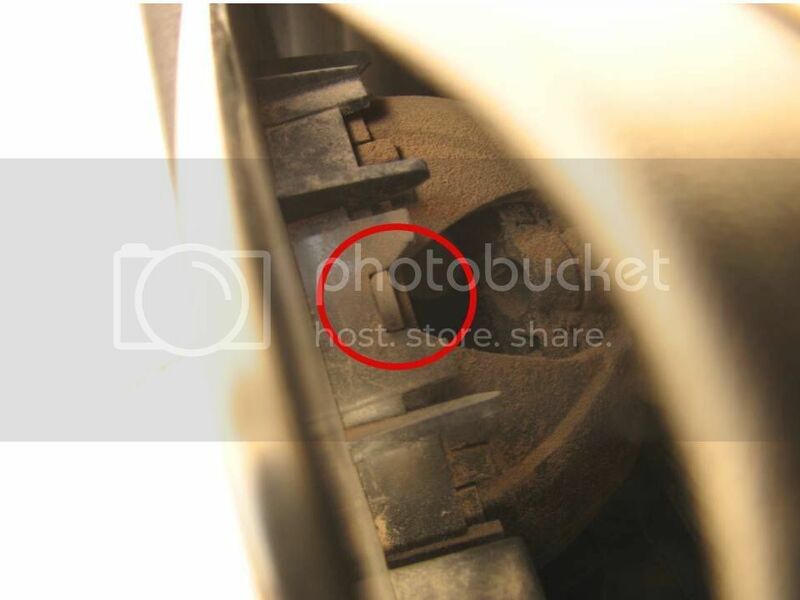 lets see if you guys manage to get it fixed this way and feedback your comments to update this and make a HOW TO FIX thread. 2007 XH (International model), Light Graystone Pearl, Sport , 4.7L Quadra-Trac II. Last edited by Ahmed; 12-26-2009 at 07:00 AM. Thanks for the pics and time. Great DIY! Thanks for discovering this fix. Your instructions are very clear. 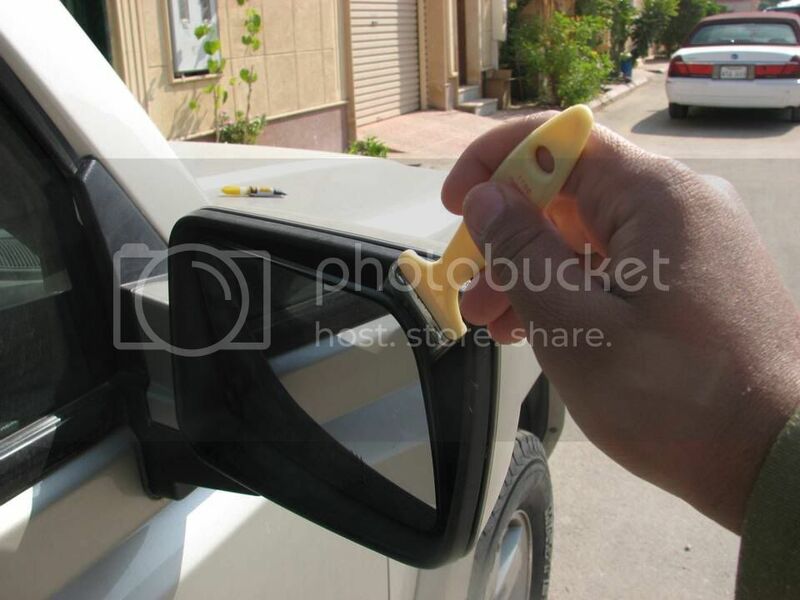 I will try it on my passenger side mirror. Great "How Too", Thanks for posting, I may end up doing this as the warranty expires in two weeks. I would love to see if anyone manages to dismantle the mirror, however. I've not had time to do it, but there's a project I have in mind for which I need to access the interior of that mounting arm. Great, let see if that works with you. Did your warranty expired? Well that is interesting to know !!! ,,,, I think (not sure though) the mirror should be taken out first! Yes, my warranty expired. I have 72,000 miles on my 07 Commander. It is very cold here now, 25 F, -4 C. I'm going to wait until it warms up before I try your fix. 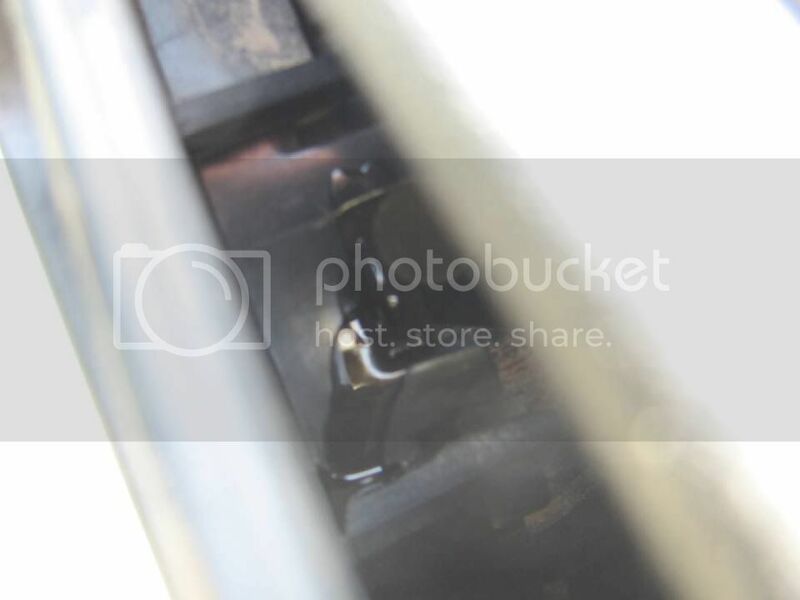 I recommend you do it under the sun light to easily see the clip and where you put the glue.